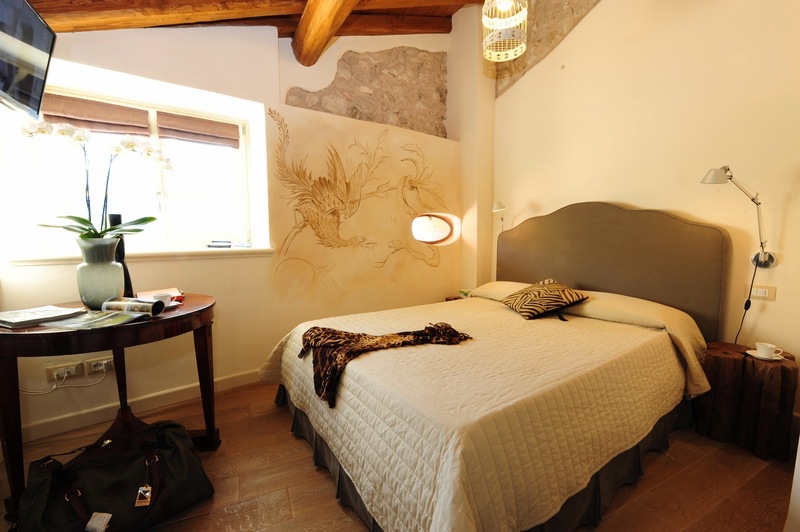 Dedicated to Gabriele D'Annunzio, our Junior Suite will not fail to impress. It has an area of 34 m² and an exclusive terrace of 36 m² overlooking Lake Garda. Solid oak wooden floors. King size bed with peninsula. Customised furniture and accessories. Original Carrara marble bathtub. The I Prati room is brightly decorated and reminiscent of the wide-open green spaces of the highlands that surround Tremosine. It has an area of 24 m². Solid oak wooden floor. Double bed. Large fir wood custom-made sofa. The customised additions enhance the lightness of this this environment. Our la Seta room recalls silkworm farming, an important part of the ancient economy of this village. It has an area of 24 m². Solid oak wooden floor. 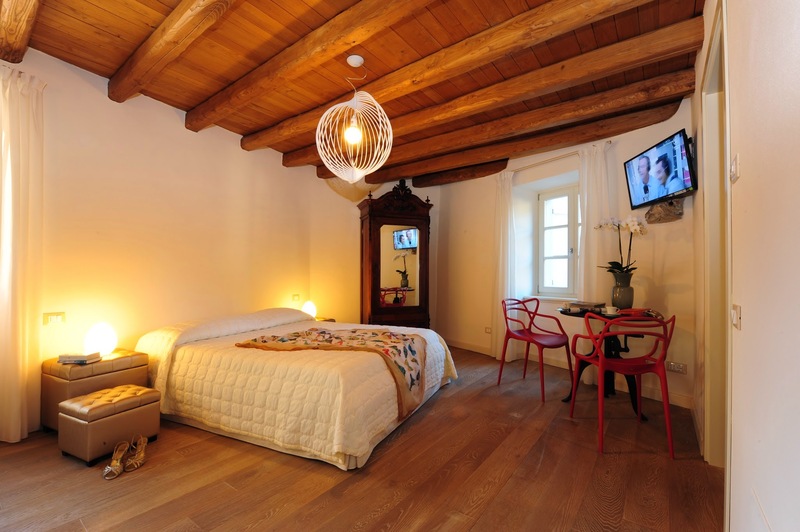 The furnishings are completed by a double bed, a large Italian design chaise longue and other customised additions. The Il Capanno room evokes traditional hunting huts, dotted around the highland woods and clearings. It has an area of 14 m². Three-quarter size bed. Solid oak wooden floor. A small table empire and customised accessories complete the furnishings. Our rooms, decorated in a restful palette of colours that range from beige to cream, are furnished with personal touches. The interiors evoke the typical character of a traditional highland house.